This series of shots has been created from the lower left portion of the photo on the home page. 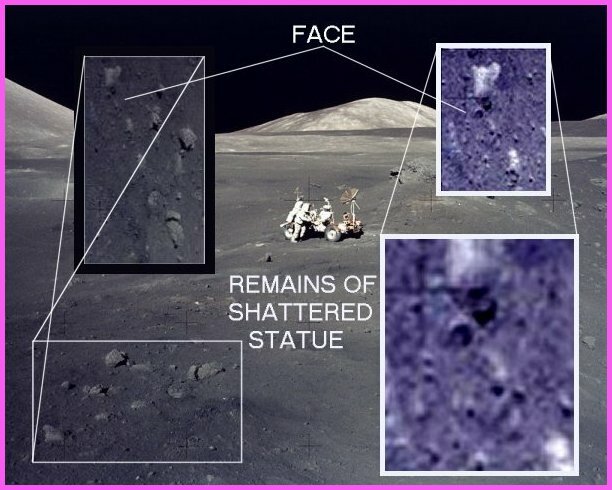 It demonstrates the need to look closely at all NASA lunar photos. 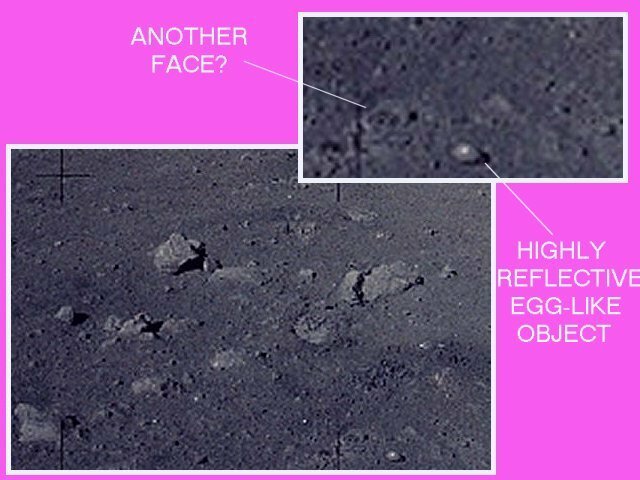 Just another chunk of supposed rock, lying on the surface. 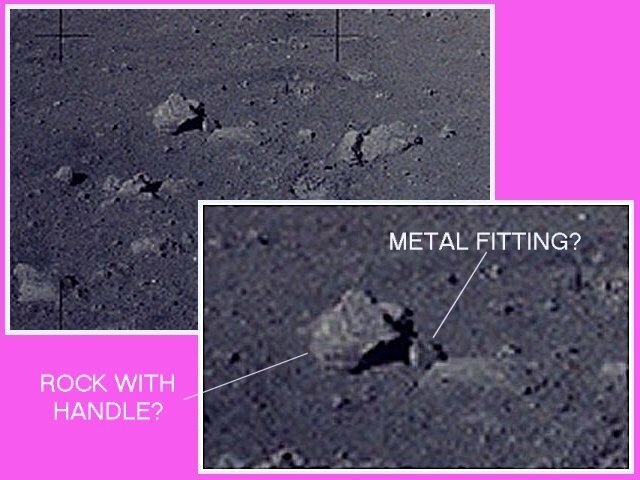 The metal fitting looks to be a different color than the rocks, and it appears to have a elbow with a polished orifice. As for the rock with a handle, well lets just consider the bent handle's composition.